Exceptional opportunity in District 66, Armbrust Park! This home has 3 bedrooms upstairs plus an office that can be converted into a 4th bedroom. Master Bedroom has nice sitting area, beautiful natural light, and the master bath features his and hers vanities, large whirlpool tub, and large shower. The laundry room is located on the top floor for your convenience. Once you step into the home you will be met with soaring beam ceilings in the open family room. Once in the sunken family room you will notice the large west facing windows and cozy, brick fireplace. The kitchen has white cabinets, a new cooktop, and wood floors. The basemetn is finished with an office area, cedar closet, large storage area and has a rough-in for your future bathroom. This property is an estate and will be sold as-is. 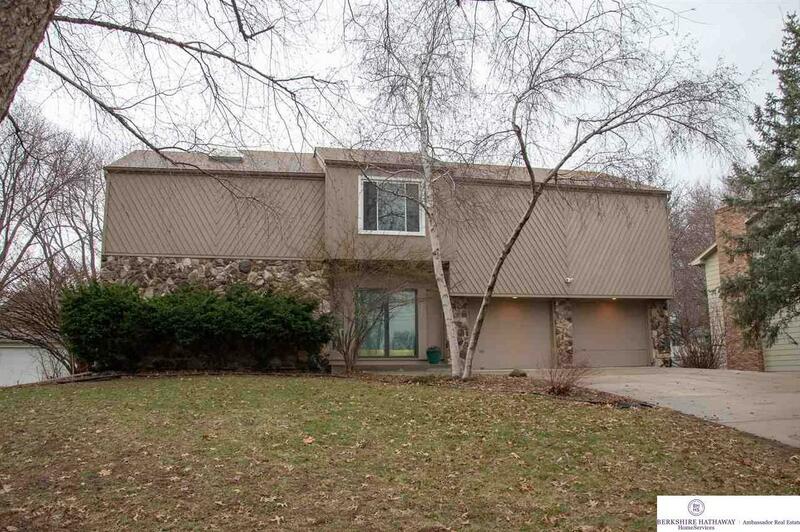 3716 Paddock Road (MLS #21904624) is a 2 story single family home located in Omaha, NE. This single family home is 3,723 sqft with 3 bedrooms and 3 baths. This property was listed on 03/29/2019 and has been priced for sale at $300,000. Nearby zip codes are 68022, 68114, 68116, 68124 0000 and 68127. This property neighbors other cities such as Elkhorn, Gretna, La Vista, Papillion and Ralston. Listing Last updated 04/04/2019 8:45 AM CDT . Some properties which appear for sale on this web site may subsequently have sold or may no longer be available. Walk Score provided by Walk Score. Mapping data provided by Google and Bing.